The Jose L. Piedra Cremas is a subtle medium-bodied cigar, of Corona format, 5.2”(136mm) long, of 40 ring gauge, and comes in a 25 cigars box. Well-made Petit Corona size. Earthy, rougher Cuban aromas and subtle creaminess in the firm, robust taste with attractive sharpness, light to medium-strong. 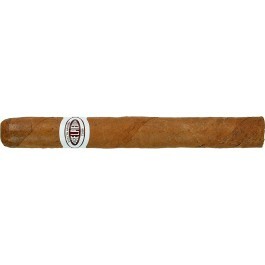 Perfect burn, perfect draw and that old world Cuban taste. Fine cigar for any time of day.